Rob & Shannon were eating out on Vacation when they realized she had left her purse behind at a restaurant. They did what we would all do, call the restaurant and ask them if they had saw it – and indeed they had. Once Rob got to the venue, they used Tile to confirm that it was indeed in the three story building, however, then it started to move! It turns out an employee tried to sneak out the purse while they were there, and the app along with the video cameras were enough to document the crime. Rob was able to track down the lost purse to a dumpster a block away from the restaurant, and the thief went to jail! "I bought Tile shortly after they were released. I put one on my keys and another on my wife's. Worked great on the key ring, perfect size. After the initial "new toy" feeling wore off, we never thought about them. They just lived in the background. Fast forward to July 2015. We we're on a family road trip vacation which took us through the beautiful town of Durango, Colorado. When we went out to eat, my wife accidentally left her purse at the restaurant. She didn't realize it until the next morning which spun us into a panic. Her purse had our credit cards, cash, personal items and her keys. We went to the restaurant when they opened at 8 am. The waitress working was the same one that served us the night before. She remembered us and said a customer turned the purse in and it was placed behind the bar. To all our surprise the purse was no where to be found. The managers office, the bar, lost and found, nowhere. They called the bartender that closed the night before who said it was behind the bar when he left at 2am. Now we were really worried. 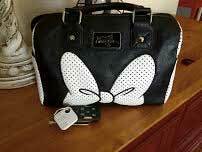 Everyone apparently saw the purse, but sometime during the night it was either placed somewhere by someone we haven't talked to yet for safekeeping, or someone stole it! Luckily we remembered the Tile on my wife's keys in the purse. Opened the Tile App and it found the keys within range right away. We searched using the App but weren't able to locate the purse. Not a problem as its a three story older building with the restaurant, bar and office taking up all three floors. At least we knew it was there somewhere! We agreed to come back about 1030am when the owner came in as he had access to the safe where it may be. When we came back at about 1015am the Tile App picked up the keys again no problem. As we were standing waiting, the App indicated the keys were moving away. Confused, I started to walk around the building with no luck. When I told my wife what was happening, she said they employee who opened this morning just left. Fearing the worst, I went outside to look for her only to find her walking back toward the restaurant from up the street. The app didn't pick the signal back up so I was sure she didn't have the purse with her. I stared to walk around with no luck, eventually going up the alley behind the building. As I got about half way down the alley, bingo! 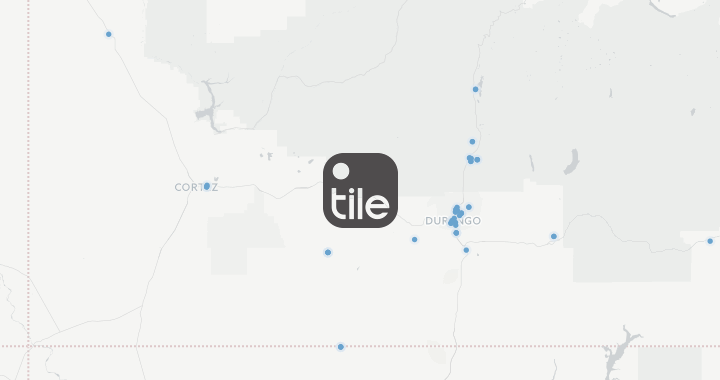 the Tile App picked up the signal. We found her purse hidden inside a trash back in a dumpster in the alley with everything still there!! We called the police who were able to eventually view video from inside the restaurant confirming the employee who walked out as I lost the signal as the thief. Thanks to the Tile App my wife's purse was recovered and a thief went to jail. We would not have recovered the purse without Tile. You have a customer for life!! I am going to order some more and replace the older ones we have and add to what we have them in and on!"